The Jesuit Relations, collected and edited by Allan Greer, is an anthology of Jesuit missionary reports written during the sixteenth and seventeenth centuries. These reports accompanied the encroachment of New France in North-East America, a new colony built of fishing and fur exports. They were published annually in France beginning in 1632, and were actively read by interested Europeans. Because of their unique character, when read carefully, the Relations can reflect not only the environment and cultural practices of Native Americans, but the subjective observations and biases of the missionaries who detailed their first interactions. Where other Christian missionaries in the Americas were forced to rely on translators to mediate all verbal communication, Jesuit schools in France emphasized literary and linguistic affluence. Thus, one-less agent hindered dialogue between the French-speaking Europeans and the Algonquin and Iroquoian-speaking peoples of America as they made contact during the 1600s. Most missionaries learned to speak native languages well. Some, like Jean De Brébeuf, detailed them thoroughly. For this reason, one might assume that the European and American peoples communicated efficiently. However, while native languages may have been understood, some concepts simply could not translate, and many cultural meanings may not have been comprehended. Even then, when dialogue did succeed, the accounts given in the Relations cannot be viewed as completely objective. While most authors endeavored to record a true representation of events, their reports were published and sold to generate funds to support the missions. Thus, both through the writing and editing of the reports, religious and cultural intents may have played a part in the generation of the Relations, and must be regarded skeptically. Religious and spiritual misinterpretation occurs frequently throughout The Jesuit Relations. These misunderstandings can be used to see more clearly both the native people’s belief systems, and the subjective recording of the Jesuits who detailed their connection. Though the missionaries intended to understand the conceptualizations of Amerindian spiritual life, they seem not to have realized the cultural— not to mention continental— divide that separated them. The Jesuit monks who visited North America had every belief that their religious understanding of God was the Truth, and the only one that existed. 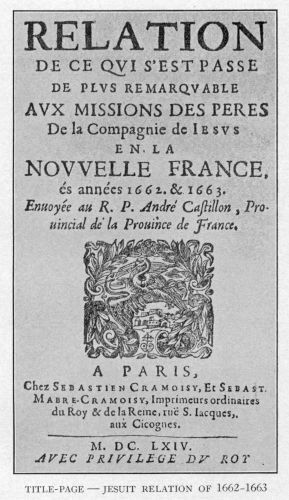 In one instance in 1634, Paul le Jeune wrote that the native belief in Messou and his Flood corresponded directly with the account of Moses in the Holy Bible. He ponders why native peoples who had known what really happened, “burdened this truth with a great many irrelevant fables.” Later, Jean de Brébeuf wrote that through Native American fables, he could see “that in the past they had some knowledge of the true God,” but had fallen away from Him and become “worse than beasts.”[41-41] Could native peoples have known of the Christian conceptualization of God before their contact with the West? The Jesuit insistence of Absolute Truth is prevalent in the Relations, and is a telling component of Jesuit religious ipseity. Le Jeune, in 1637, wrote of the Huron belief system, and was appalled at the absence of any semblance of absolutist dogma, saying “Alas! 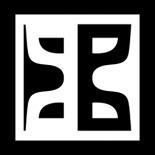 How can certainty be found in the midst of error?”[120-122] Huron belief, it seems, was based on a myriad of fables and metaphors. Le Jeune finds that native peoples spoke of their spirits “as one speaks of a thing so far distant that nothing sure can be known about it.” This misconception of native beliefs is debilitating for the Jesuits, though, for often, when they describe Amerindian spirituality, they do so with disdain. When they refer, with pity, that the Huron address themselves “to the sky… that some powerful spirit or demon resides there,” the irony is almost palpable. What of the Jesuit conception of an anthropomorphic deity in Heaven? One might suppose that the main point of religious difference was the Jesuit conceptualization of monotheism. 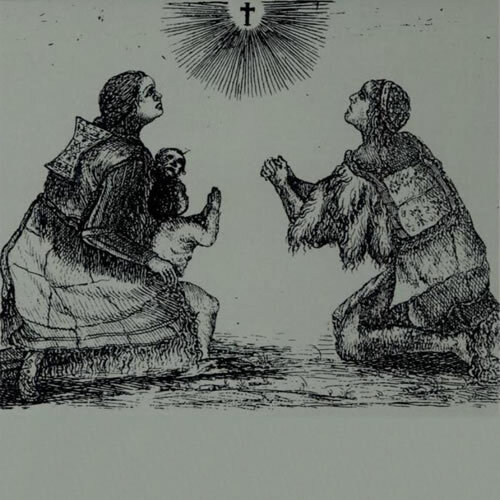 Where, throughout the collection, the Jesuits refer to Amerindian understanding of natural or spiritual forces, Alan Greer has appropriately translated it as “demon,” rather than “spirit,” to remain more true to the Jesuit comprehension of native beliefs. In the native belief system, these spirits reside, De Brébeuf finds, in all things, and are active and animate. However, the Jesuit interpretation of these spirits was built on an ancient, pre-Christian foundation of material dualism. When missionaries asked where these demons lived, or who Amerindians were offering tributes to, one cannot be certain that the native peoples understood the question as we are able to from the twenty-first century. Huron belief seems to have relied strongly on the interpretation of dreams. In many cases, while the Jesuit monks scoffed at this practice, there is evidence that these beliefs held some truth. One Algonquin girl, for example, though she had been baptized by the Jesuits, dreamt of an earthquake that occurred the following day. Another Algonquin woman, Jérôme Lalemant writes, dreamt of an earthquake in 1663, and though she recounted the tale worriedly to her parents, “they listened without giving it any special thought.” The truth of these claims is not as important as their importance to the Native American conception of reality. Relations des Jésuites de la Nouvelle-France, when viewed from the present, can be used as an almost proto-ethnographic journal. Its writers sought to represent the peoples of the “New World” objectively, and even when they did not understand their practices, attempted to describe them accurately. Their intentions were clear, though, and as the Jesuit missionaries colonized the spiritual lives of native peoples, the accounts display their religious influences and intentions plainly. So, while The Jesuit Relations most clearly reflects the subjective biases of the Jesuits who came to the Great Lakes region during the seventeenth century, when they are read analytically, one can hear distinct Amerindian voices echoing quietly throughout the text. “Be to the Romans, a Roman” Even the Apostle Paul believed it was the most effective method of evangelism. Thanks for the Link, Amy! This entry was posted on February 26, 2014 by grahamtbaden in Nom d’Être and tagged algonquin, american indian, amerindian, analysis, colonialism, critical analysis, french colony, history, huron, indian, iroqouis, jesuit, missionaries, native american, new france, north america, the jesuit relations.